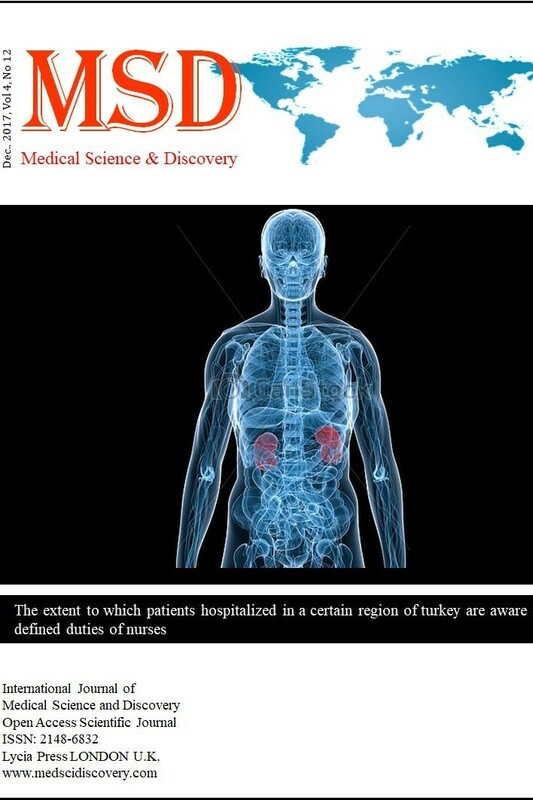 Medical Science and Discovery is an international open access, peer-reviewed scientific research journal that provides rapid publication of articles in all disciplines of human health, clinical and basic medical science such as Biophysics, Biochemistry, Histology, Physiology, Genetics, Pathology, Toxicology, Anatomical Sciences, Pharmacology, Embryology, Internal and Surgical medicine. MSD offers fast publication schedule immediate publication after acceptance. The editorial board aims at reviewing the submitted articles as fast as possible and promptly including them in the forthcoming issues. This journal is published under ethical publishing policy of international scientific Bioethics and publication rules. MSD supports the Open Access Initiative. Abstracts and full texts (HTML and PDF format) of all articles published byMSD journal is freely accessible to researchers, clinicians, the public and other users to view, download and share,immediately upon publication. MSD is not a mercenary scientific journal. The MSD board of directors decided to abolish the Article Processing Fee to avoid misconceptions about the purpose of the MSD journal (12.03.2019). Could sP-Selectin and sICAM-1 be potential biomarkers in status epilepticus? Lycia Press Inc., 3rd Floor 86 - 90 Paul Street, EC2A 4NE, London, UK.